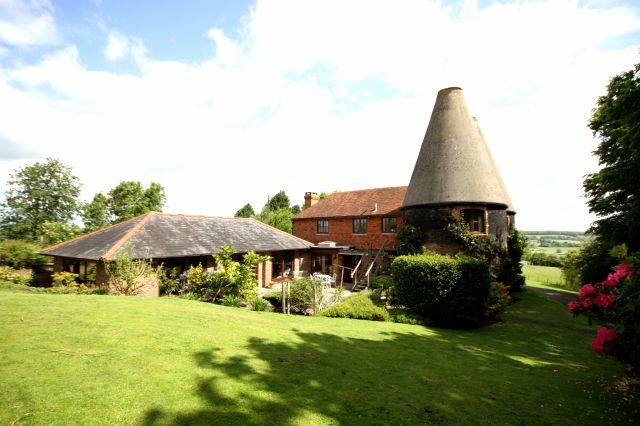 This is a particularly splendid conversion of a traditional, and iconic structure that existed previously as an Oast House or Hop Kiln for drying hops as part of the brewing process for alcohol. Broadlands Row Oast House Roundel Kitchen (c) 2012 Phillips & Stubbs. 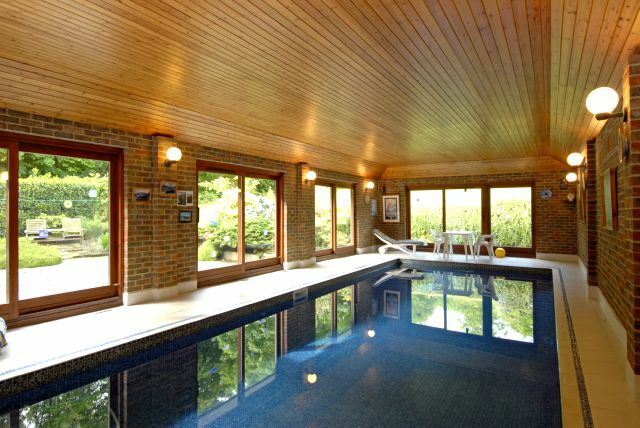 Plus a rather nice Heated Indoor Swimming Pool …..
Broadlands Row Oast House Swimming Pool (c) 2012 Phillips & Stubbs. 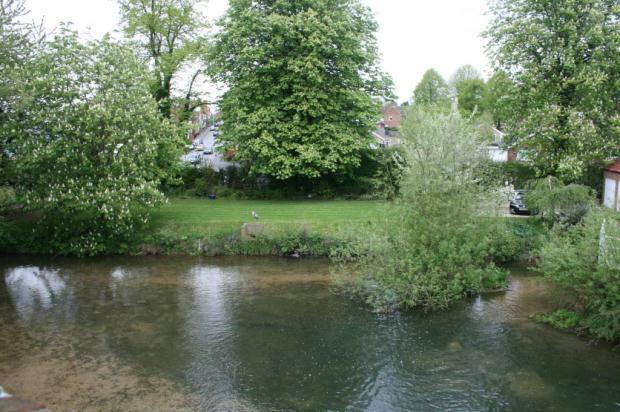 Situated at Broadlands Row, Udimore, East Sussex, TN31 6BJ. 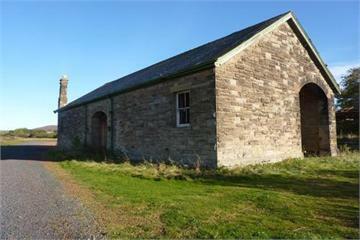 There are more photographs of this lovely building, and a very helpful floorplan at the online weblink below. The Engine Shed (c) 2012 Sanderson Young. Renowned architect and unique property enthusiast George Clarke has already narrated one of these styles of building on his Restoration Man television series. Though that was a slightly different type of Engine House. 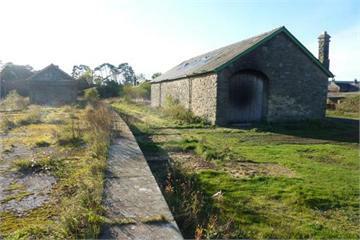 For sale here is ‘The Engine Shed’ which has full Planning Permission for conversion to a single dwelling of approximately 3,000 sq feet. Comprising: ground floor – entrance hall, cloakroom/wc, kitchen/breakfast room, separate utility, four spacious and versatile reception rooms, and study. To the first floor – accessed from a stunning galleried landing there will be master bedroom with ensuite, two further guest double bedrooms with en suite’s and a fourth good sized double bedroom plus a family bathroom/wc. Externally, the property will be accessed via private driveway within a generous garden site and views over open countryside. The Station and Engine Shed was opened in 1887 as part of the Alnwick to Cornhill Line. These elegant buildings were quoted as being ‘for beauty, completeness and substantial character they compare most favourably with any other buildings of a kindred nature on the NER system’ by the ‘Newcastle Daily Journal’ in 1886. Completed in stone from Alnwick Moor the Engine Shed was a four wagon warehouse which originally housed a 2 Tonne crane, a dock and office, part of which is still intact with the original fireplace. Location: The Engine Shed, Whittingham Station, Alnwick, Northumberland, NE66 4RP. Contact Sanderson Young Tel: 01665 600 170. The Old Station House & Signal Box (c) 2012 McCartneys LLP. Continuing our railway theme, we move from an engine shed in the previous listing to a double–the-fun railway building set. 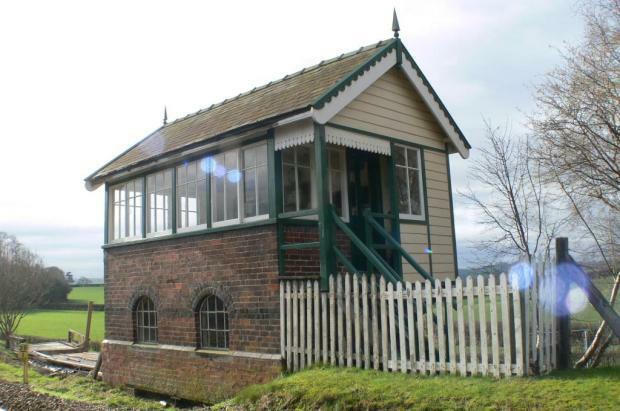 A former railway station and railway signal box. 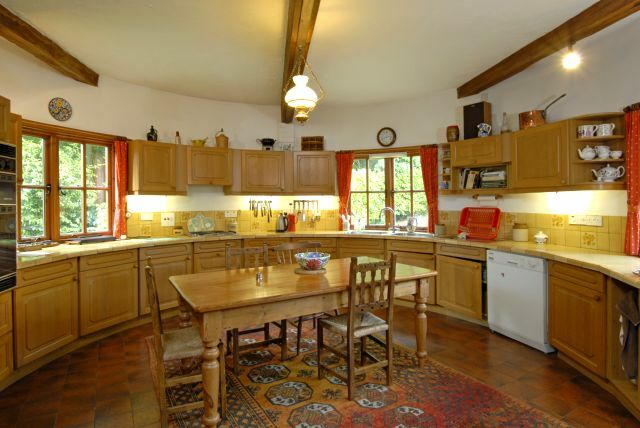 The house has flexible accommodation and nice views over the surrounding countryside. Outside there is a garden which incorporates the signal box which has been thoughtfully restored over recent years. Also within the grounds is a partly completed detached double garage with room above which could make wonderful self-contained accommodation if required. Just over half a mile from the river Severn. Approached off a council maintained highway onto a gravel parking area providing access to the detached double garage/potential annex. From the garage a lawn with mature silver birch leads to a gravel pathway adjacent to the greenhouse and vegetable plots whilst leading to steps rising up to the large decking area which has lovely views over neighbouring farmland to distant countryside. The garden is a substantial size and has been thoughtfully landscaped using former railway sleepers in places where possible. The garden is mostly lawn but also includes some flower and shrub beds, a feature pond, a well, patio area, former oil lamp hut and a brick built signal box believed to date back to about 1895. The Signal Box Ground floor/Workshop: 5.1m (16’7″) x 2.9m (9’6″), First Floor: 5.0m (16’6″) x 2.9m (9’6″) with power and lighting. Location, The Old Station House, Forden, Welshpool, Powys, SY21 8NN. Contact McCartneys LLP : 01938 531000. Online Brochure (PDF File) …. Golden Oldie (c) 2012 Eddisons. One of the principle pieces of magic that surrounds movies, films and the cinema is suspension of disbelief. Perhaps apply that theory to this enigma of a building adventure. Just imagine what kind of home you could make here. The actual structure is going for a relatively small price. 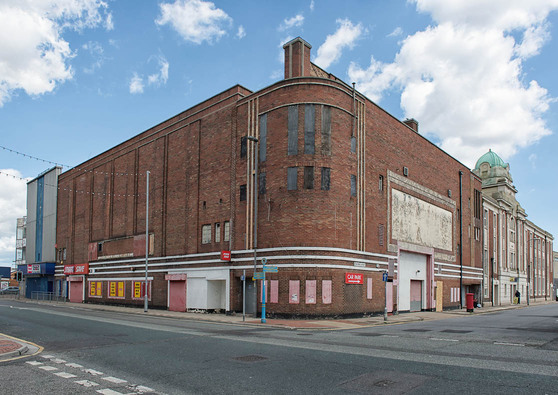 What an amazing thing to have a home within this building, and of all the eccentric things to do – actually keep the cinema part for its original purpose. What an amazing thing to consider doing. If you do end up buying this and go that way please, please let us know. It would be fantastic to see how you get on. Location: 125-135 Freeman Street, Grimsby, North East Lincolnshire, DN32 7AP. Contact Eddisons: 01484 533151 or 0845 505 1200. Former Church at Sandown, Isle Of Wight (c) 2012 The Wright Estate Agency. Topical television is focussing on parishes and people from islands at various parts of the country. Here we have the raw project and on a nice island. This former church has planning consent in place to convert to EIGHT flats, and at a miraculous price. An interesting proposition. If you project manage the thing right, you may end up effectively with a free church flat for your efforts in building the other 7 ! 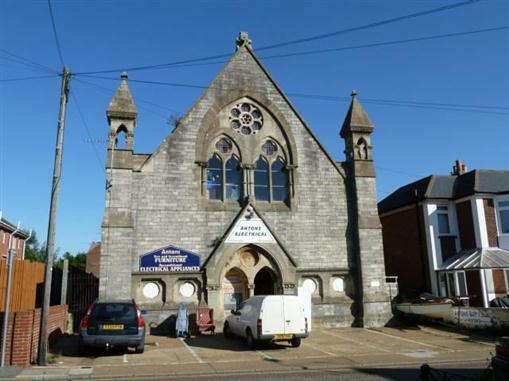 Previously, this church has been used as a furniture sales store for many years but now has planning permission for conversion and extension into 8 flats. The planning permission as granted on 1st April 2010 under TCP/04783/G – P/00156/10 and provides for 4 x 2 bed units and 4 x 1 bed units with parking for 6 vehicles. The works involve the conversion of the main former church building at the front and a new extension to replace the old part at the back. For further information and to view the plans please check out the details on the weblink below, or call the agent on 01983 866 822. Flat 1 & 2 Both of these are the same and comprise duplex units with accommodation over two floors. These are large flats of approximately 976.8s sqft in size. Flats 1 & 2 Accommodation Briefly this comprises – hall, cloakroom, lounge/diner (5.6m x 4.7m), kitchen (3.9m x 2.9m), bathroom, Bedroom 1 (4.5m x 3.5m), Bedroom 2 (3.9m x 2.9m). Flats 3 & 4 Both ground floor units to the back of the building approximately 508.5 sqft in size. Flats 3 & 4 Accommodation The accommodation briefly comprises hall, living room (4.35m x 3.4m), kitchen (2.7m x 2.7m), bathroom, bedroom 1 (2.9m x 2.8m). Flat 5 & 6 These two flats are both first floor to the rear and are the same layout and size as flat 3 & 4 – 508.5 sqft. Flats 5 & 6 Accommodation as per flats 3 & 4. Flat 7 A second floor flat to the front of the building which is approximately 720.8 sqft in size. Flat 7 Accommodation The accommodation briefly comprises hall, lounge/diner/kitchen (7.7m x 5.6m max), bathroom, bedroom 1 3.8m max x 3.0m), bedroom 2 (2.9m x 2.5m). Flat 8 A second floor flat to the back of the building which is approximately 878.2 sqft in size. Flat 8 Accommodation The accommodation briefly comprises hall, lounge/diner/kitchen (7.7m x 5.1m max), bathroom, bedroom 1 (5.4m x 3.2m), bedroom 2 (3.7m x 3.2m). Parking The planning permission allows for 6 parking space on the forecourt area to the front of the building. Location: Station Avenue, Sandown, Isle of Wight, PO36 8HL. Contact the Wright Estate Agency: 01983 866 822. 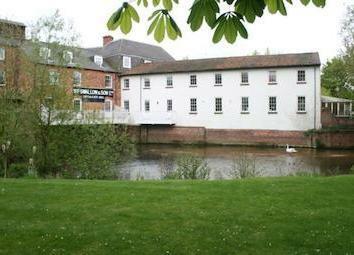 Mill Apartments At Grantham (c) 2012 Pygott & Crone. 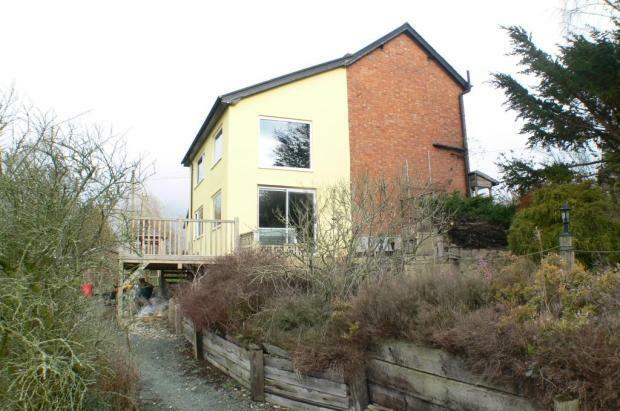 This last property for this week is a ready-to-move-into part of a mill conversion. Not to all our readers’ tastes, but a sizeable number have asked for a range of ready to use properties rather than a full scale renovation project. Here we have a little bit of a larger unusual property in a lovely setting. Lots more photographs in the online brochure weblink below. Contact Pygott & Crone: 01476 589158.